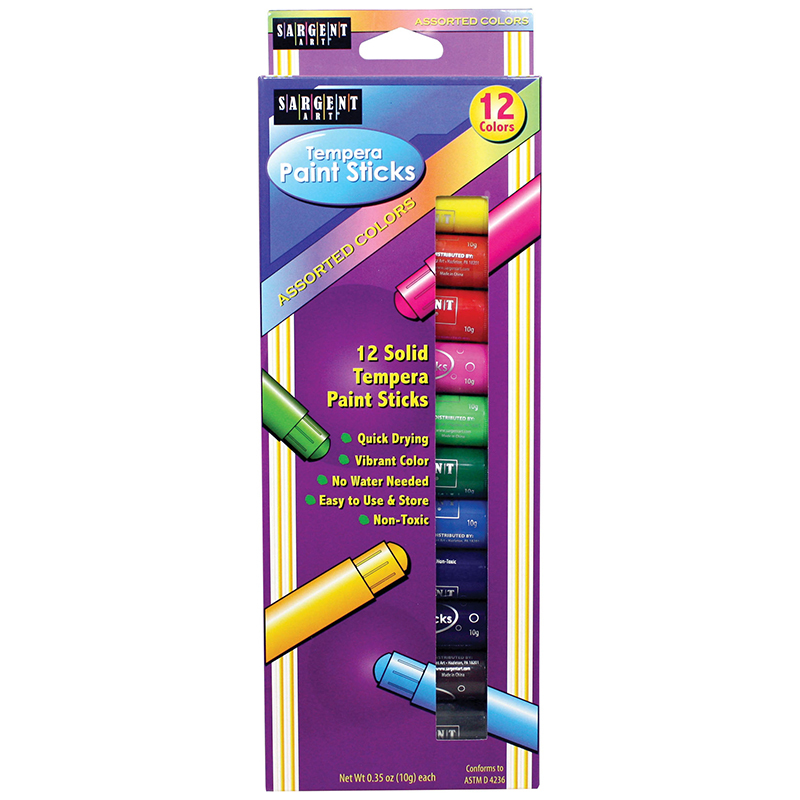 Assorted Tempera paint stick pack. Easy to use and store. No water needed, quick drying. 12 vibrant colors.